The Client was a professional with a young family. They had just completed a major extension to the property and they turned to where the children would find room to run about. 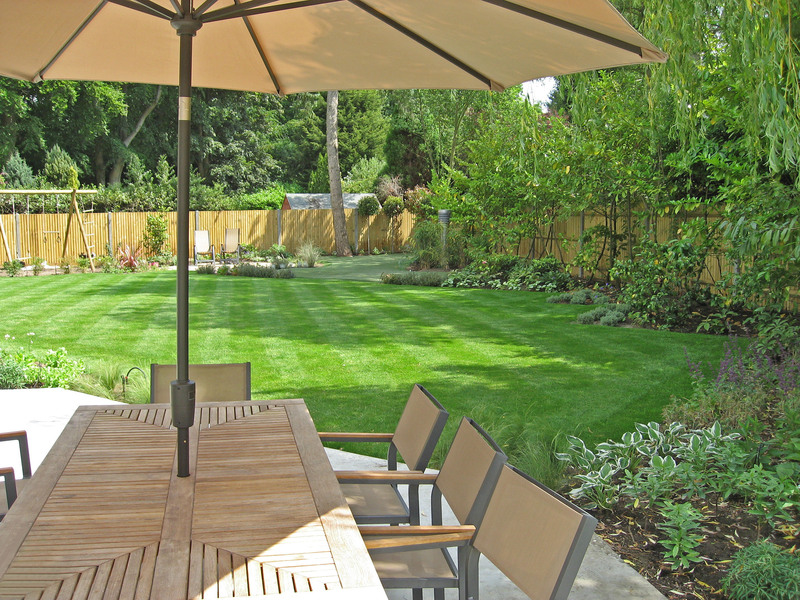 The brief called for a large lawn large enough to play ball games and simply run about. However, a garden is not just for children. 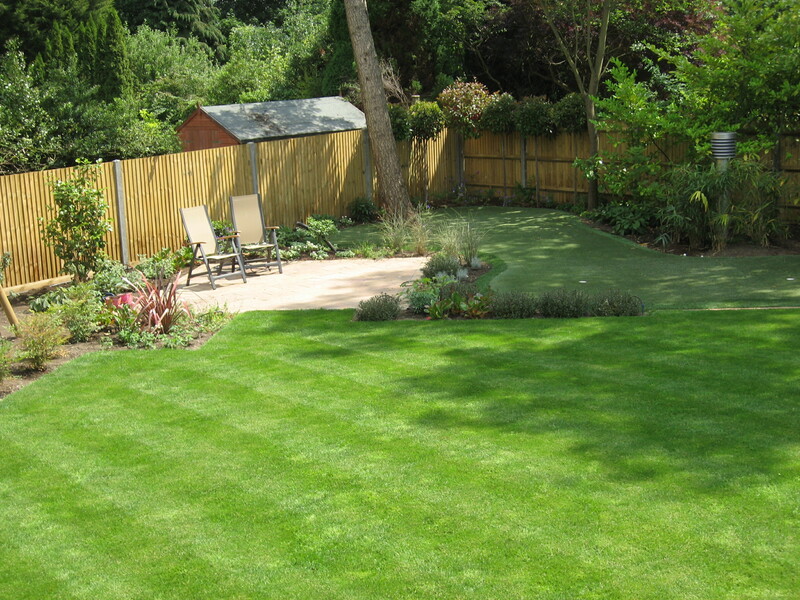 Our client was a keen golfer and liked the idea of having a place in the garden to work on his game. He therefore requested a professional style putting green be added to the design. Security and privacy was a major issue to be addressed. The site was an L shaped, level plot, wrapped around the house. The existing garden had basically been destroyed by the building works on the house and had left a sizeable amount of debris across the whole garden. So the plot was a blank canvas to work with. The Client wished the paving of the terrace to match that of the internal rooms so that the indoors swept out into the garden, giving the impression of one giant room. The open geometric design maximised the use of the area available. 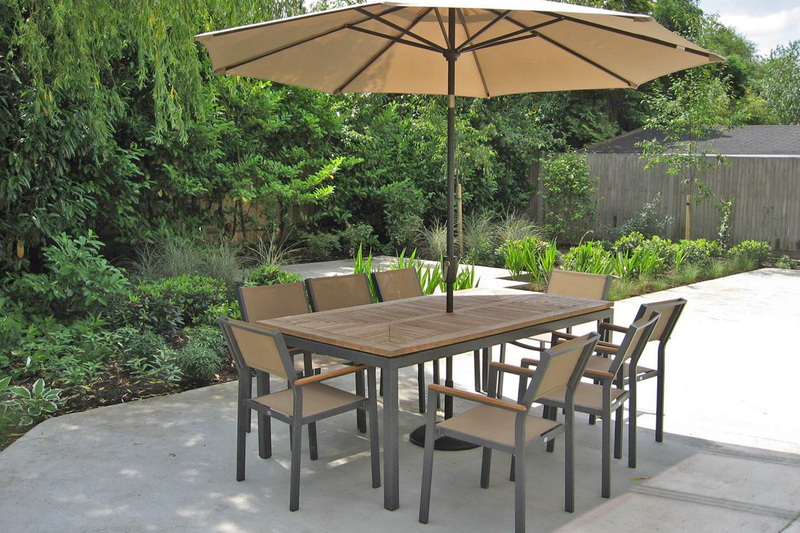 A clean, rectangular terrace held the dining and seating areas, letting their occupants look out over the rest of garden away from the play areas. A water feature and lighting throughout the garden added drama and interest, even after dark. Since this was a busy family, planting was by necessity tailored for easy maintenance. Colourful and sweeping to offset the uniformity of the terrace, the planting design brought vibrancy and presence to the garden and still took into consideration that it was likely to have to deal with the odd wayward football.